Health extension workers (HEW) in Ethiopia occupy a unique position by providing a vital link between communities and the health sector. The front line of Ethiopia’s primary health system, HEWs shoulder the tremendous responsibility of providing services to families and communities. They also transmit information to higher-level facilities to ensure appropriate care for patients and adequate resources for treating them. 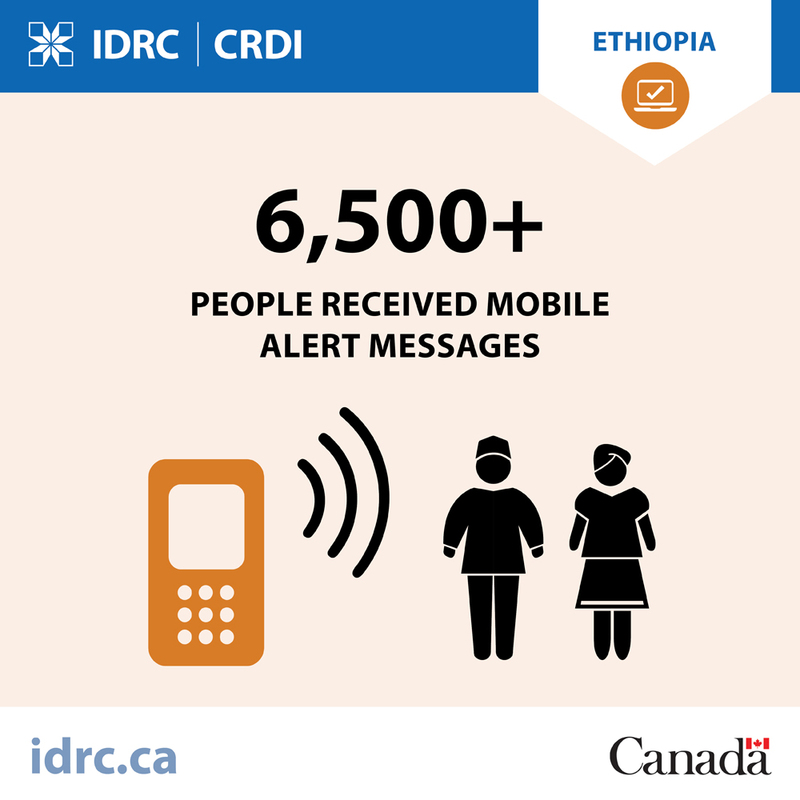 In Sidama Zone in southern Ethiopia, a new eHealth platform using mobile phones (mHealth) piloted by REACH Ethiopia SZHD, in collaboration with the Liverpool School of Tropical Medicine and funded by IDRC, is making both service delivery and reporting faster and more accurate. In doing so, it’s enhancing the status of health workers and contributing to greater equity in the health system and community, as well as in access to services. 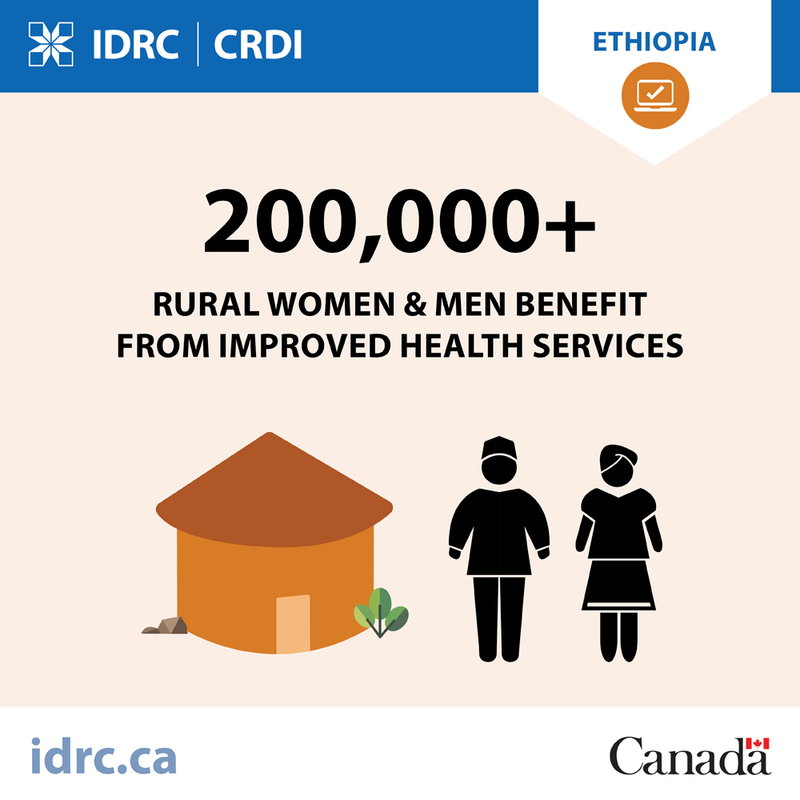 Formal health services are out of reach in Ethiopia’s rural regions, where 84% of the population lives. 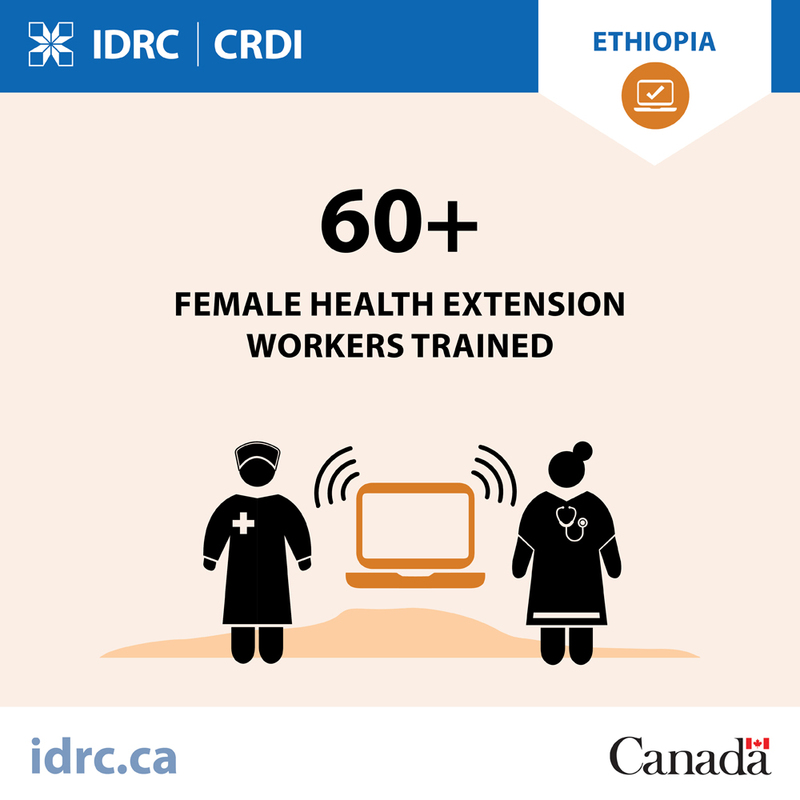 To improve access to essential services, the Ethiopian government launched a Health Extension Program in 2003. At its core was recruiting, training, and deploying health workers to serve in their own communities. HEWs, who are all women, now number more than 38,000, or two for every 600 households. These workers make up 47% of the country’s health workforce. HEWs devote 70% of their time to making house-to-house visits to provide health education and services. Working at the health post the remainder of the time, they carry out health education, monitor pregnant women, and provide immunizations. Ethiopia has greatly benefited from HEW services: child deaths have dropped by 28%, deaths from malaria have fallen by more than 50%, and HIV treatment has increased 150-fold. The country is still far from its goal of delivering universal primary health coverage. A major hurdle is getting health data from the HEWs and health posts to higher levels. The existing information management system depends on paper reports that are physically transported from health posts to health centres, then to districts, zones, and finally to the region. Incomplete or inconsistent reports, poor data monitoring, and under-use of existing data hinder timely, appropriate responses. In addition, HEWs are overworked, both at home and on duty. This lack of time in addition to language barriers contributes to data reporting errors. 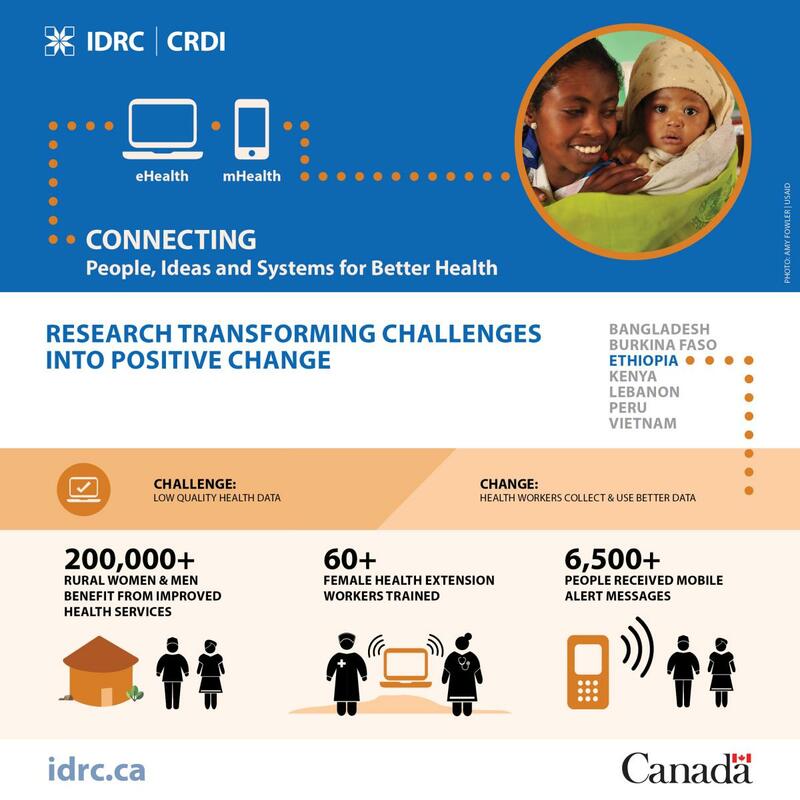 In 2012, the Ethiopian government developed a mHealth strategy calling for projects that could improve HEWs’ effectiveness, particularly in maternal and child health and tuberculosis (TB) control, priority health areas. The call was answered by REACH Ethiopia, which had carried out an award-winning project in Sidama Zone to increase TB detection and treatment. Mobile technology and HEWs were key to increasing TB detection rates from 60 to 100%, including among often neglected groups like women, children, and the elderly. Based on this success, REACH investigated how HEWs could best use mHealth technologies to strengthen health systems and improve service quality and equity. Carried out in collaboration with the Liverpool School of Tropical Medicine, the research was supported by IDRC. Through the program, 70 mobile phones were given to HEWs, their supervisors, and others involved in program delivery. Health centres were provided with desktop computers for data recording and 57 HEWs and 68 health professionals received training for the eHealth platform. Overall, more pregnancies and TB cases were identified. In one district, the number of skilled deliveries increased to 98%, and only 11% of women failed to show up for antenatal visits, indicating a significant improvement. The Head of the District attributes this success to the text message service that reminds HEWs to visit expectant mothers during the weeks leading up to the birth. The project has also improved the quality of data and reduced errors. The mHealth project has given HEWs the information and support they need to provide services to their communities. Health equity has increased because vulnerable people and households now have access to the services they need. Equally important is that HEWs have increased their knowledge and developed stronger technological skills, which has increased their self-confidence and enhanced their leadership in the community. As members of the community council, they now raise health-related issues for discussion and decision-making. This helps build more accountable and responsive health services as the HEWs improve their understanding of the needs of all community members. The project has also boosted their reputation in the health system — where women are often underrepresented — by increasing their participation in generating data, feeding it into the health system, and applying it for decision-making.